Set the stage for every doomed affair, every dame feeling trapped, and every sleazeball pretending to rescue her, since the novel's publication. 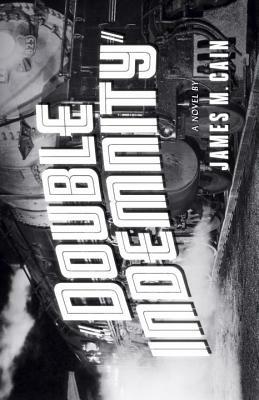 James M. Cain, virtuoso of the roman noir, gives us a tautly narrated and excruciatingly suspenseful story in Double Indemnity, an X-ray view of guilt, of duplicity, and of the kind of obsessive, loveless love that devastates everything it touches. Walter Huff was an insurance salesman with an unfailing instinct for clients who might be in trouble, and his instinct led him to Phyllis Nirdlinger. Phyllis wanted to buy an accident policy on her husband. Then she wanted her husband to have an accident. Walter wanted Phyllis. To get her, he would arrange the perfect murder and betray everything he had ever lived for.